Pope Francis, in his Christmas message on Monday, told the faithful gathered in Rome that "the winds of war are blowing in our world and an outdated model of development continues to produce human, societal and environmental decline," and he called for a negotiated two-state solution to end the Israeli-Palestinian conflict. 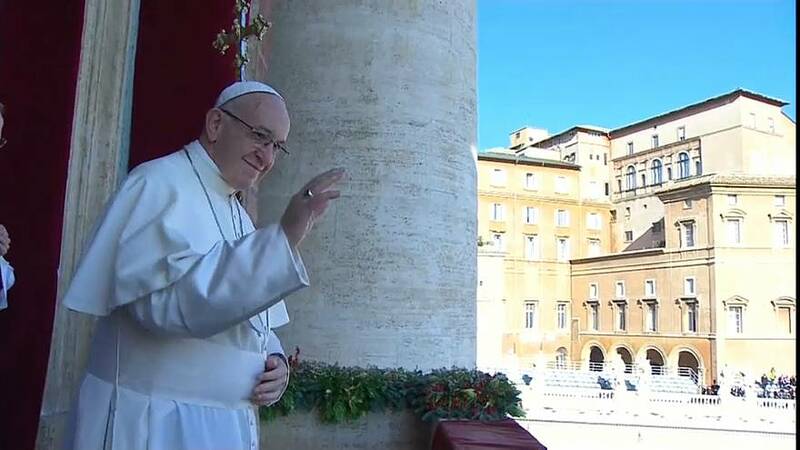 "Let us pray that the will to resume dialogue may prevail between the parties and that a negotiated solution can finally be reached, one that would allow the peaceful coexistence of two States within mutually agreed and internationally recognized borders," he said, before wishing the assembled throng "Buon Natale". This was the second time the Pope has spoken out this month since President Donald Trump controversially recognised Jerusalem as Israel's capital, and said the US embassy would be moving there, a position most other nations have refused to endorse.